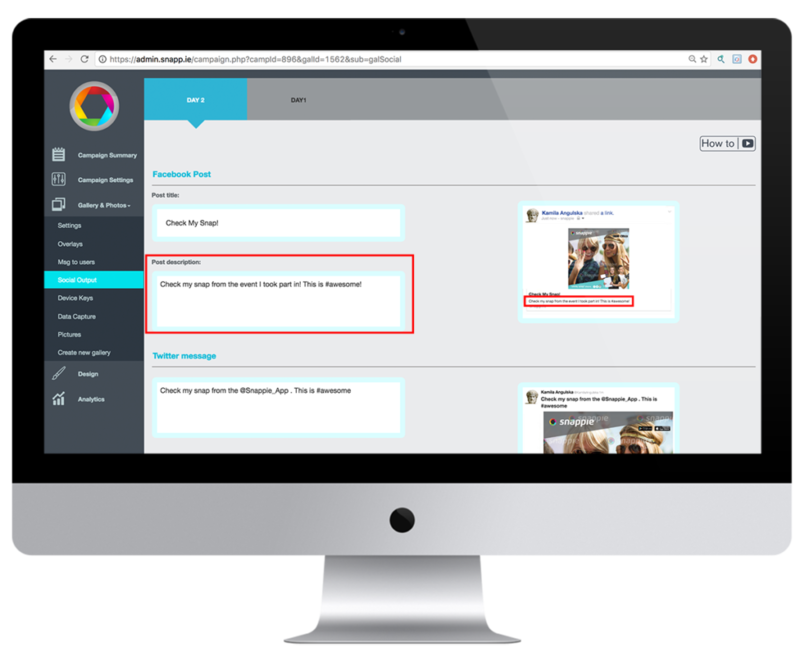 Check out how easy is to customize social media messages. 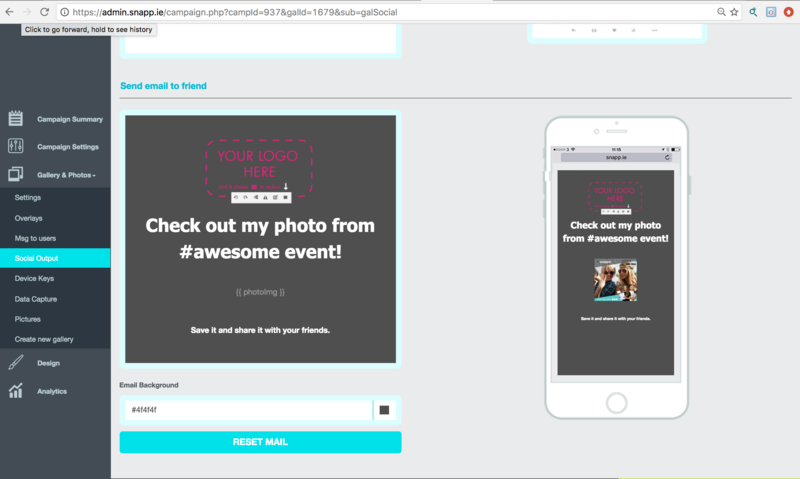 Snappie back-end allows you to customize social media messages. When users receive their photo, video or GIF they can share their content directly to Facebook & Twitter. Go to Gallery & Photos Tab, then scroll down to Social Output. Create your post title, max of 60 characters. The preview of the post is visible on the right-hand side of the screen. Create your own Facebook description, max 300 characters. Twitter messages can have a max of 90 characters. You can send your photo, video or GIF to your friend’s email.